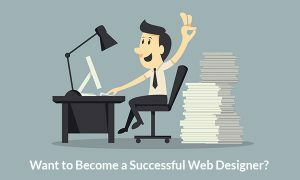 How Can You Become A Professional Web Designer? 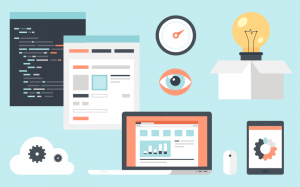 There are some top sites and apps for web designers. Beautiful, creative & commendable work of other designers is shared on such platforms. Not just the newbies but also the experienced designers keep a track on what others are doing to get new ideas and keep up with the latest designing trends. Check other popular and well-designed websites and note down how they have made the menu and how they have laid the content. Also, jot down the colors they have used, spacing kept, and the elements and icons placed. Focusing on the minute details will help you transform from a good designer to a great designer. Some of the popular references to refer are dribble, Behance, and pttrns. You can also create your profile on these websites and share your work. If you intend to get a job at the top companies, you need to have experience of having worked with different web designing tools and not just stick to one. The flexibility of working with different tools gives you an upper hand when you are competing with other candidates during an interview. Some of the tools you need to learn as a designer are Photoshop, Adobe Illustrator, and Fireworks. The best way to learn and implement graphic design is to start making images using the vector graphics. Learning all these tools all by yourself seems to be difficult. Join a web design training institute and learn much more than just the editing tools. The designer needs to learn CSS for the page style. HTML is must for the basic content of the web page. PHP is needed for the server-side scripting. SQL is needed to learn for the database management. For the speedy of the websites which are mobile ready, the developer must know BootStrap. Online courses and video tutorials can help the designers learn these languages and if you have joined the institute the experts will teach you. The designer needs to learn how to work smartly and creatively. She / he needs to get acquainted with the latest technologies. It will allow the user to develop a website which eliminates the need of making individual HTML pages but instead allow to make use of the templates to display multiple pages in the same design. This will reduce the work of designers, save their time and efforts and make them more productive. If you are seriously pursuing web designing as your career, the best way to be a professional designer is to get enrolled at a training institute. There will be an expert and experienced designer who would invest their maximum efforts in making you one of them. Also, you get the opportunity to get placed in the institute and also get job support to start your career. People believe that graphic designers with technical skills can also be called as web designers. Well, really!!!! This is a huge misconception that needs to be cleared out. 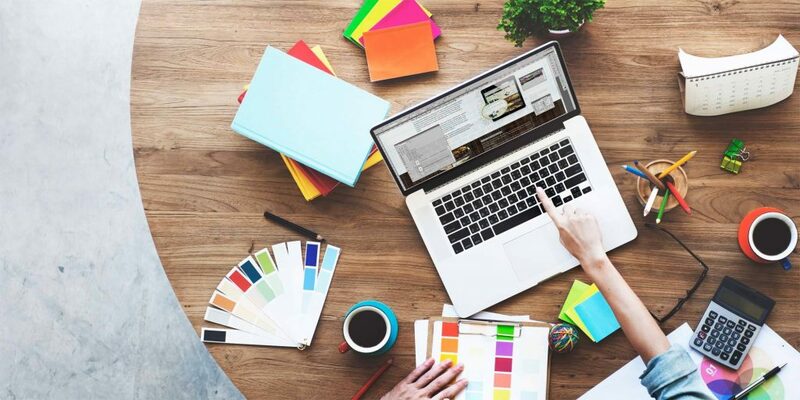 Both graphic designing and web designing are totally different and have flairs of their own and mixing them up is not what you should be doing. There are just a few of the designers who could fill up the gap between the web-based designing and print-based designing. The target audience, style of designing, and agendas of both of them are completely different, if you are stuck as to which field to pick, web designing it is? Web designing has more scope as compared to the graphic designing. The qualification and training will be on one side but the practical experience gained would weight more if placed on the other side. The practical implementation of the theoretical knowledge is must when it comes to designing. Whether it is the company you are applying to or it is the client you are dealing with, both will have same question how much experience do you have? An experienced designer is preferred more as compared to that of a qualified employee. So, gain experience in designing websites and apps of varied categories and create an impressive portfolio of work done. The portfolio is also a strong point for a professional designer. This is a general tip to stay organized. Your work will be highly affected when half of your time goes in searching things and pulling all the stuff together. Keep different folders and manage the work. Keep the images, slides, icons, videos, and other stuff in separate folders and don’t forget to keep the backup of the same. This will enhance the skills and ability of you as a developer. We usually hear messy people are more creative but organized people are more productive.